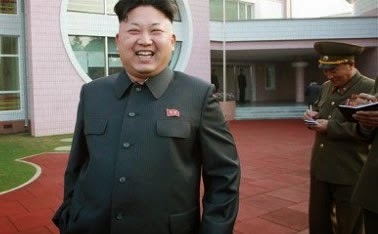 The intelligence services of South Korea said today that a cyst in his ankle was the reason that North Korean leader Kim Jong-un, disappeared for more than 40 days and now walks with a cane. The "supreme leader"Kim Jong is recovering from an operation conducted between September and October in which he removed the cyst revealed the South Korean National Intelligence Service (NIS) before a parliamentary committee. The agency also believes it was a foreign doctor who performed the operation to Kim Jong-un after traveling to Pyongyang and considers the cyst may recur, revealed to Yonhap two games present at the hearing of the intelligence services. The two lawmakers spoke with local reporters in Seoul after a closed-door parliamentary audit with officials of NIS. The reappearance of Kim Jong-un last 14 ended a long absence that led to all sorts of speculation, especially from the Korean press, which cited from an alleged coup until suffering gout, diabetes, had fractured ankles or even suffered brain death. Since then, the leader has appeared in all the pictures leaning on a cane, confirming that have a health problem although it is impossible to prove with certainty what it is because of the extreme secrecy surrounding the North Korean elite and the Kim family.